Several of my students are currently either getting ready for important exams or awaiting results from universities. 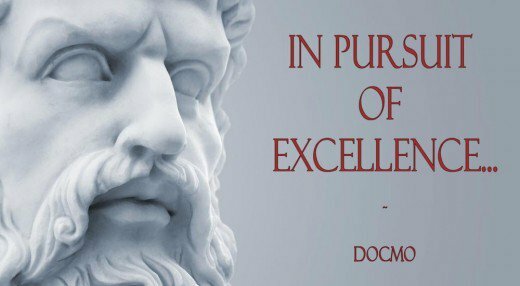 All are in pursuit of excellence. But not all will achieve their dreams. It put me in mind of the way in which we approach these things. My personal experience includes years of auditions as well, and I know that our frame of mind, when we go into something, is very important. If we approach an exam, a university entrance, an audition or an interview with trepidation and the feeling or thoughts that we may not be successful, we have just upped our chances of being unsuccessful, for sure. When we feel that others are in charge of our future, feelings of insecurity in our abilities, and feelings of “are we good enough” surfaces. This in turn, paralyses us to do our best, to appreciate our possibilities fully. But when we go into any situation with a positive mindset we increase our chances of success. This may seem obvious, but how many of us remember this when we’re faced with something we deeply desire, like that dream job, or the issue that reminded me of this in the first instance – a place at Oxford University, for example. It’s a catch-22. Often, when we desire something intensely, adversely, we actually focus on its opposite. We become tense, obsess about it and talk about it with fear in our hearts. Metaphysics calls this type of thinking and feeling “living from a place of lack,” and you can see why, can’t you? But as we think and feel ourselves into our desires in a positive way, our pursuit of excellence ceases to exist, because we hold ourselves to a higher standard automatically and we free ourselves in order to achieve an excellence seldom dreamt of. When we can relax, when we can change our mind and look at our most coveted opportunities from the point of joy, excitement, fun and success, we stop obsessing. We start looking forward to having it. That’s when we’re able to do our best work, and to elevate ourselves to a higher level. That’s when we can genuinely imagine ourselves already at Oxford University, or already in possession of our dream job, or already playing our dream role. I agree with you. I have found two things that help me approach this mindset. First, is to make sure I have done the work to be prepared to succeed. This includes a totally honest self-assessment, diligent study, and sustained, focused practice, not just cramming for a few hours/ weeks. Thanks so much for stopping by and sharing your experience, Cassie – I really appreciate it! And I agree with you – when you’ve done all you can with what you have, then, when you’re not the right fit, it’s so much easier to accept. Great point!